A double feature based on a best-selling children's books by Satoshi Hako. 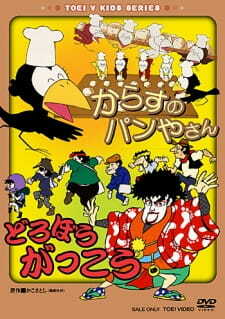 Karasu no Panya-san is about a crow bakery in the forest run by a couple and their children. Dorobou Gakkou is about the self-explanatory goings-on at an educational institute with a difference.